Asthma is a chronic disease that often starts in childhood but can occur for the first time in adulthood, even later in life. According to the Centers for Disease Control and Prevention (CDC), 18.4 million adults and 6.2 million children in the United States have asthma. Did you know that aerobic training can help to control your asthma symptoms? Moving around is one of the best natural asthma remedies. Herbs for asthma treatment can be effective, natural tools for reducing symptoms. 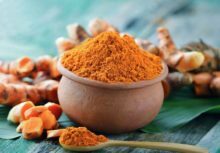 Here we list some of the most effective asthma home remedies, including boswellia extract and turmeric. Asthma is a chronic disease that often starts in childhood but can occur for the first time in adulthood, even later in life. In the United States, about 19 million adults and seven million children have asthma. Magnesium can help prevent and treat a variety of health conditions, from asthma to osteoporosis and more.